Dinner on Saturday was a mostly non-cooked vegan feast. It has been in the upper 90’sF for the last few days and too hot to be heating up the kitchen by turning on the oven or using the cooktop! Our first course was a delicious gazpacho. 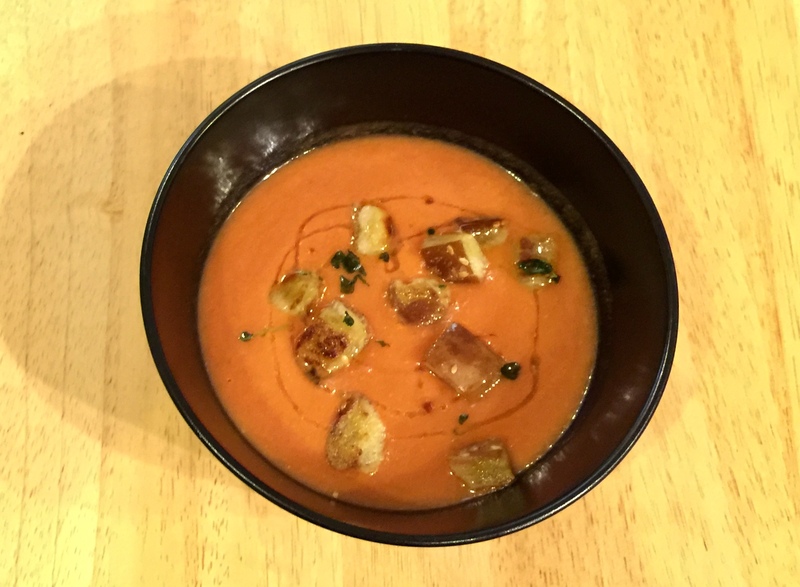 I got the base recipe, The Best Gazpacho, from New York Times Cooking but of course put my own spin on it since it was definitely not spicy enough. I did not have enough fresh tomatoes so I used canned. I also toasted some croutons and lemon thyme to put on top. 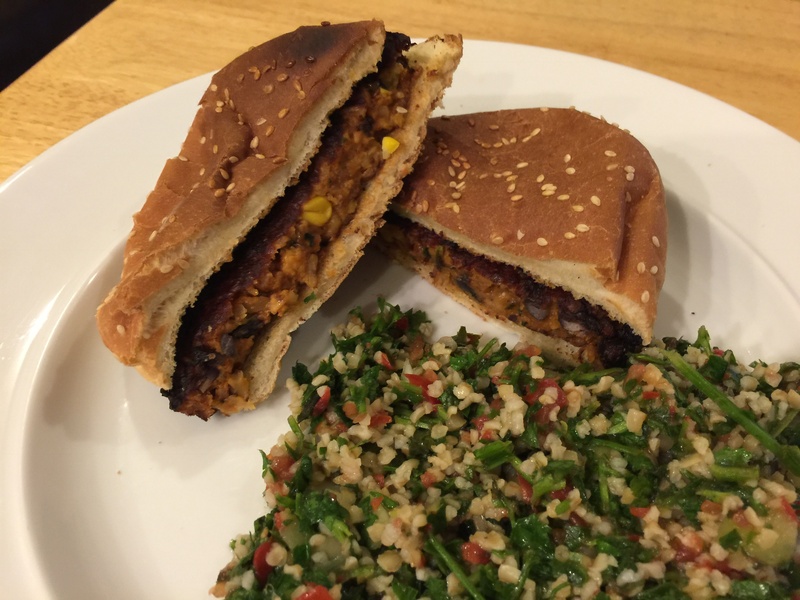 This was followed up with Morningstar Chipotle Bean Burger served with tabbouleh. This Lebanese tabbouleh is heavy on the parsley and lighter on the bulgur wheat than most. So while I did manage to avoid using the oven and cooktop, I did use the food processor, blender, microwave, and toaster! This entry was posted in Grains, Vegan, Vegetables, Vegetarian and tagged bulgur wheat, cucumber, Gazpacho, jalapeno, parsley, tabbouleh, tomatoes, veggie burger. Bookmark the permalink.